Arena of Valor (AOV) and Defense of the Ancient 2 (Dota 2), two of the most popular esport titles for both mobile and PC, announced for Asia the PVP Esports Championship, a large-scale tournament with a prize pool of US$ 300,000. The event is the result of the collaboration of Singtel, Razer, Blizzard, Garena and MET Events. The tournament itself is being run by MET, the most trusted esports events organizer in Asia. 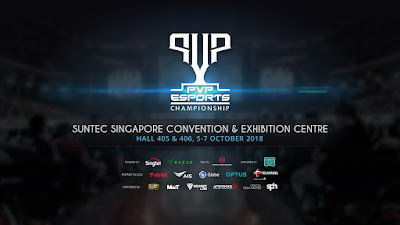 Alongside major partner Singtel, the largest telecommunications company in Singapore, the PVP Esports Championship will pit aspiring and professional games across Asia against each other culminating in a grand finals to be held in the Suntec Convention Center in Singapore. Below are the dates of each participating country’s National Qualifier finals. Three professional teams for each game will also be invited to participate in the grand finals, upping the stakes and ensuring that the level of competition in the tournament is of the highest quality. For Dota 2, two invites has already been confirmed: Chinese team PSG.LGD, which won 2nd place in the recently-concluded worldwide Dota 2 tournament, The International and the widely popular Team Secret who placed 5th-6th in the recently concluded The International 8. The winner of each qualifier will move on to the main event in Singapore to represent their countries on a stage fit for international contenders. 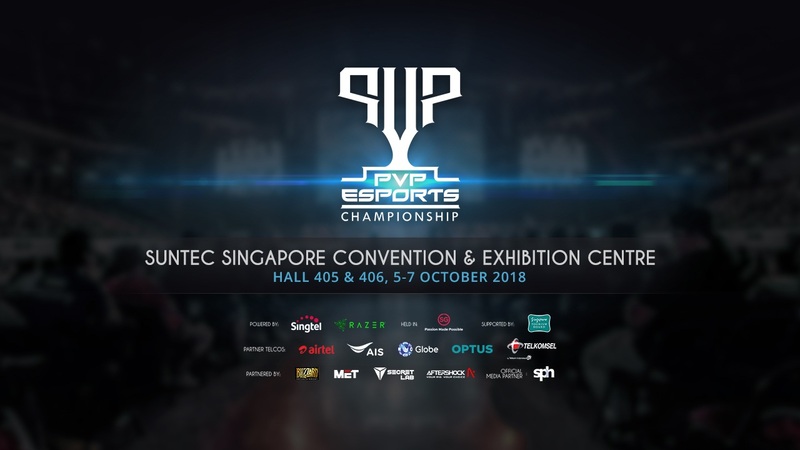 The PVP Esports Championship is set to be one of the biggest esports spectacles ever hosted in Singapore. Malaysian and Singaporean fans will get to experience the hype of a premier esports events, and see both top-tier amateur players and professional gamers duke it out live at the Suntec Convention Centre. At the main event, attendees who purchase the VIP Ticket will also get a goodie bag with exclusive premium PVP Esports merchandise which includes hoodie, t-shirt and lanyards, Razer L33T merchandise, Dota 2 collectibles, AOV in-game rare skins and Hearthstone card packs.